Specializing In Quality Offshore Cranes, Hoist & Wrench! Front Pal Engineering is renowned for providing the sales & rental of quality DOUTEC Torque Wrench, Tower Cranes, Portal Cranes, P/M Hoist and Anti-Collision Systems. 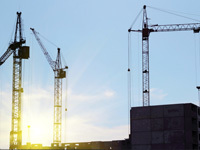 Quality tower cranes and backed by a quality equipment and high service standards. 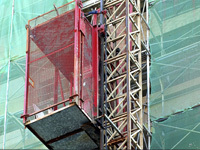 We provide dismantling and maintenance solutions and support for a diverse range of markets. As an approved crane contractor of MOM, Front Pal Engineering has been recognized as a reliable establishment in this niche market. Years of experience and industry know-how allows us to fully meet our customers' exacting demands and deliver satisfactory services.